Here are some tips for a perfect application. When you first buy your mascara and pull out the brush, most times the mascara brush has way to much mascara on it. This excess mascara will make your lashes stick together and even leave big clumps of mascara on your lashes. 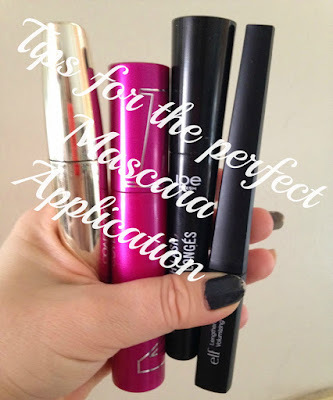 There is nothing wrong with the mascara; it just means that your mascara needs to be scraped! Scrape the brush of the mascara on the edge of the mascara bottle. This will remove all of the excess mascara that clumps your lashes together. Rotate the brush to ensure that you get rid of the excess mascara. Make sure that the excess mascara is going back in your mascara bottle and not down the outsides of the mascara. Move the mascara brush in a zigzag motion; wiggle the brush at the base before extending to the ends. If you wiggle the brush at the lash line, it will give the illusion of a dense black liner instead of the hard task of water lining the upper lash line. For super thick lashes coat both sides of your lashes by looking down and coating the backs of your lashes, and then looking up and sweeping the brush upward. Put the whole tube of mascara into a cup of hot water for a few minutes before you use it — the heat will melt clumps and make your mascara more fluid. Getting the most of your lashes can take more than one mascara. This is a great way to create a customized lash look – just for you! I have long, straight lashes but no volume; I start with a volumizing mascara before using a lengthening formula. Clean your old wands with your makeup remover and reuse them to separate lashes after applying mascara. I hope this helps you achieve beautiful, flawless lashes! !